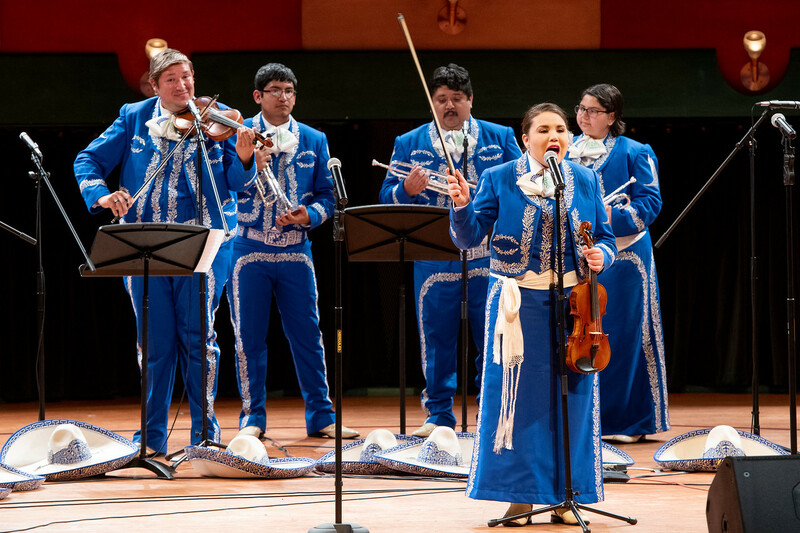 CORPUS CHRISTI, Texas – From the unique mix of strings and brass, to the pageantry of their uniforms, to their bigger-than-life theatrical performances, the sounds of mariachi music have represented the Hispanic culture and delighted listeners since its inception in 18th century Mexico. 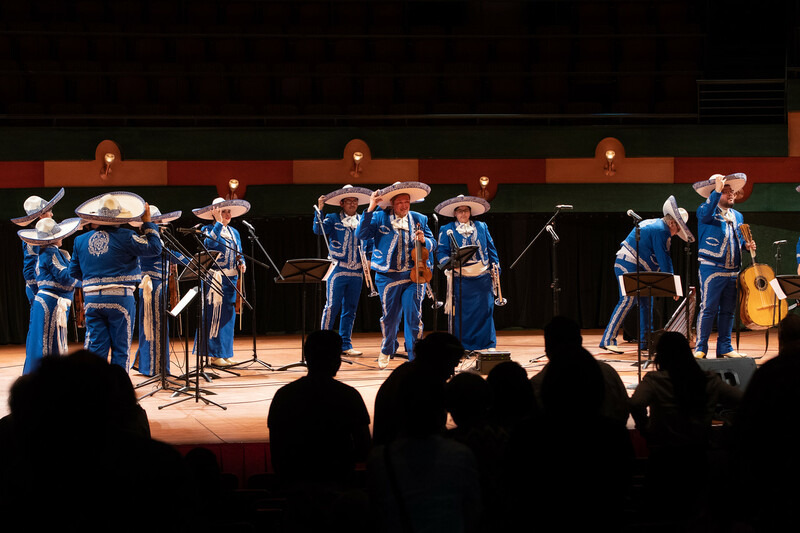 Texas A&M University-Corpus Christi is eager to embrace mariachi music, not only for the benefit of students, but for the enjoyment of the community, and has formed the Mariachi de la Isla as the newest music ensemble in the Island University’s Department of Music. 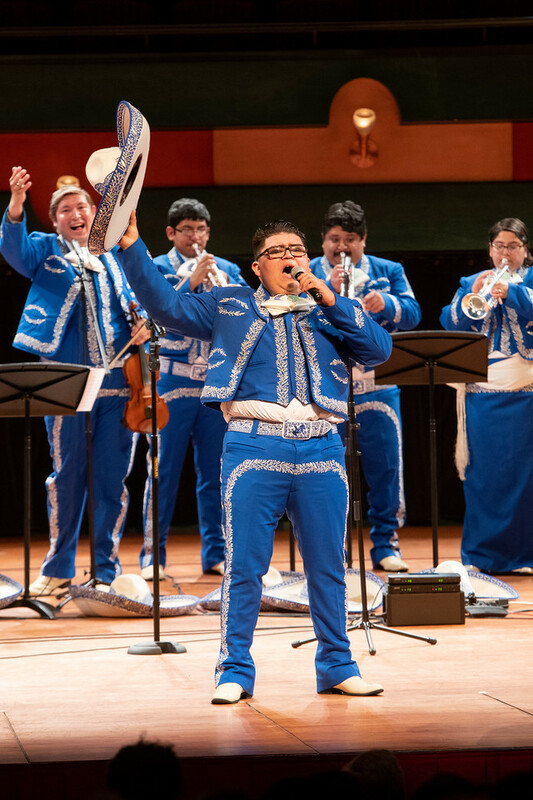 The group was spearheaded in fall 2017 by Dr. Kelly M. Quintanilla, president and CEO of Texas A&M-Corpus Christi, who tapped Dr. Rai Morales, associate professor of trombone, to bring together a highly-skilled group of Islander students from various musical backgrounds. 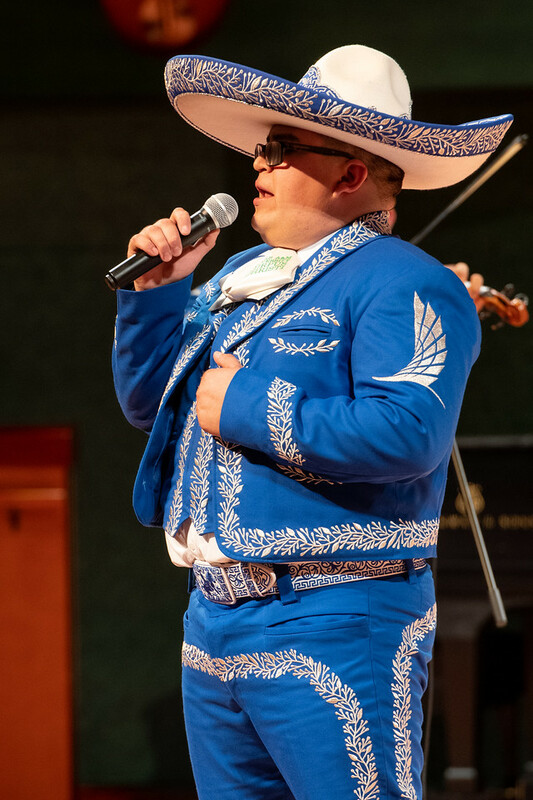 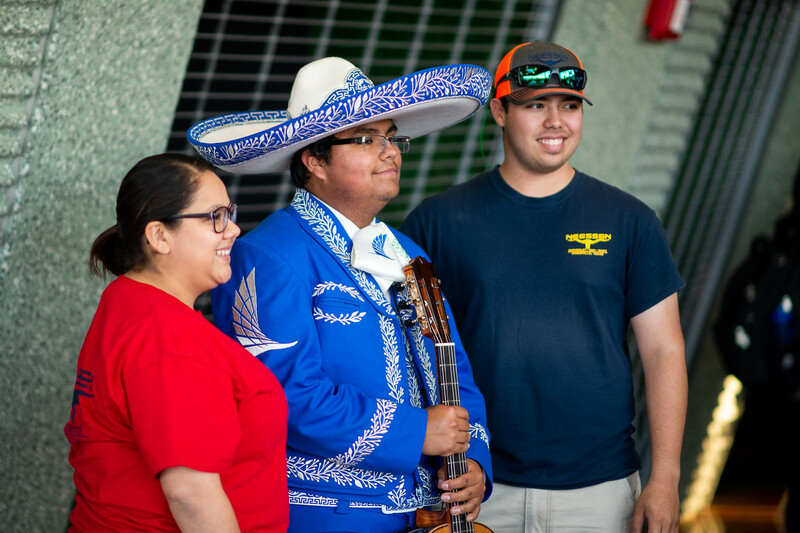 One of the students in the Mariachi de la Isla is Camilo Salinas. 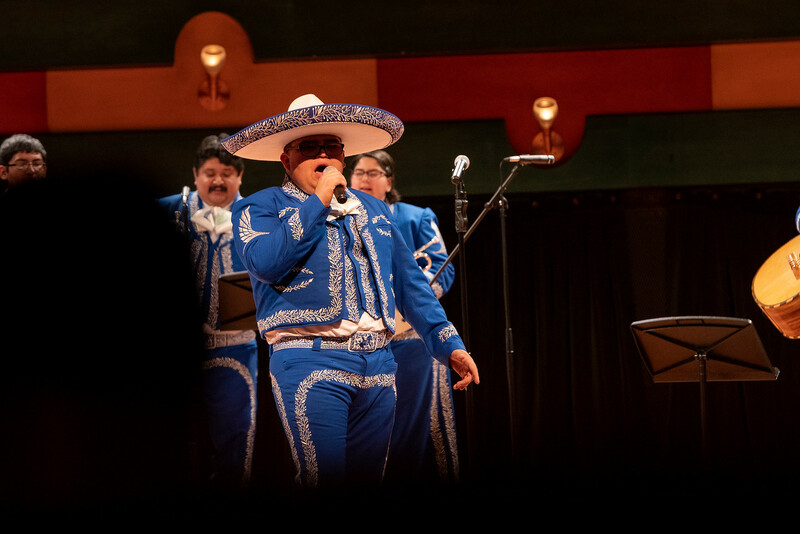 Salinas is a junior music education major studying trombone, though he plays the “guitarrón,” the Spanish word for guitar, and “arpa,” the Spanish word for harp, in the new ensemble. 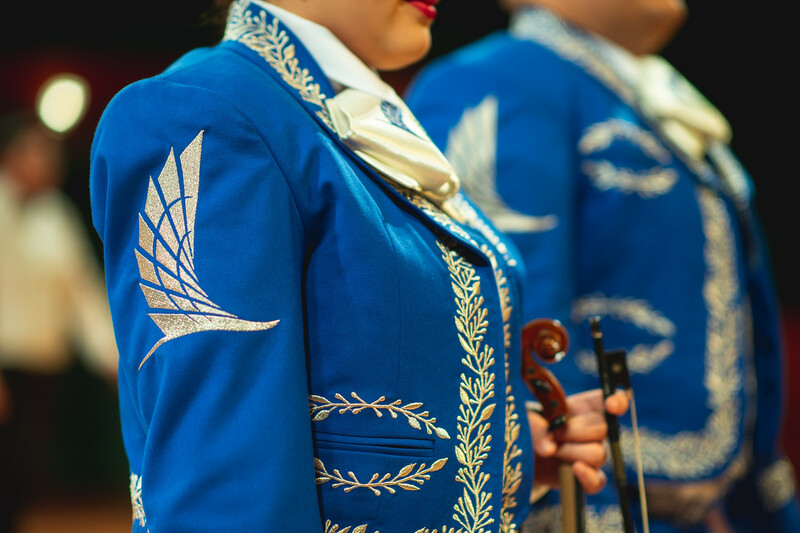 The Mariachi de la Isla is unique with their blue “trajes,” the Spanish word for uniforms, customized to represent the Island University. 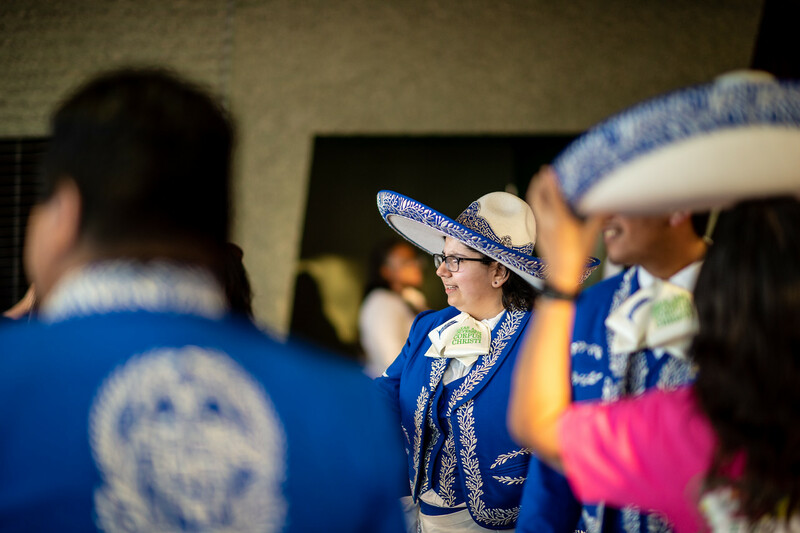 The jacket is lined with metallic silver embroidery with the Momentum symbol emblazoned on each upper sleeve. 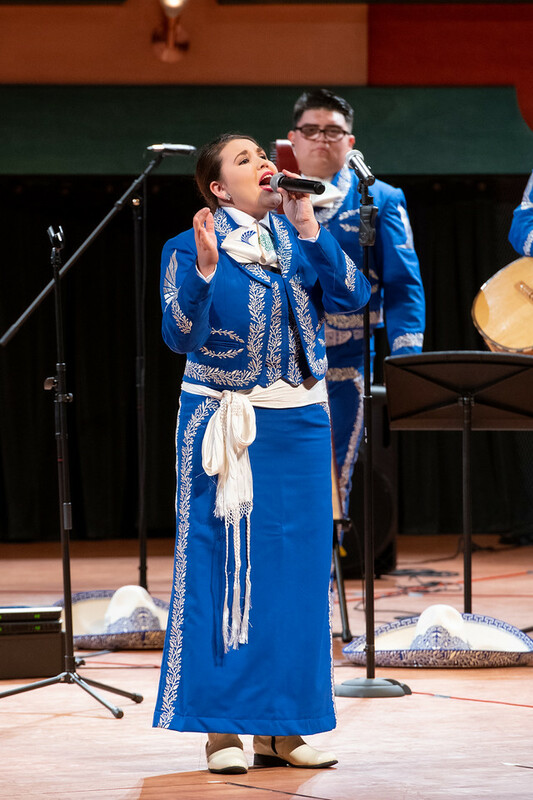 The skirts, fitted pants and sombrero are embellished with embroidered flair as well. 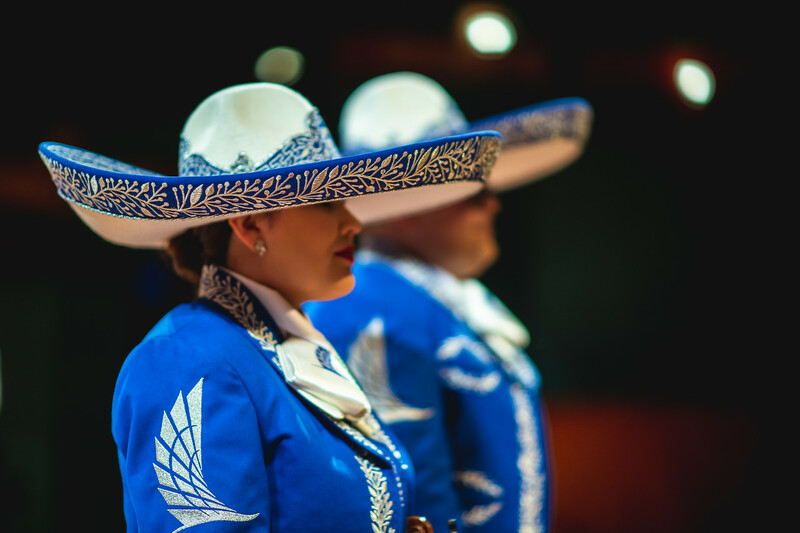 The neck bow, “moño,” is stamped with the University logo in the school’s official blue and green colors. 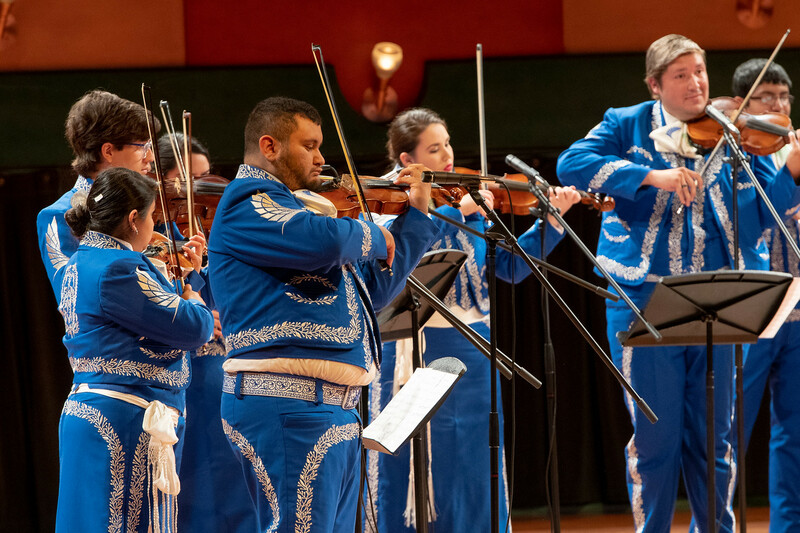 This is the first musical ensemble at A&M-Corpus Christi to have official uniforms. 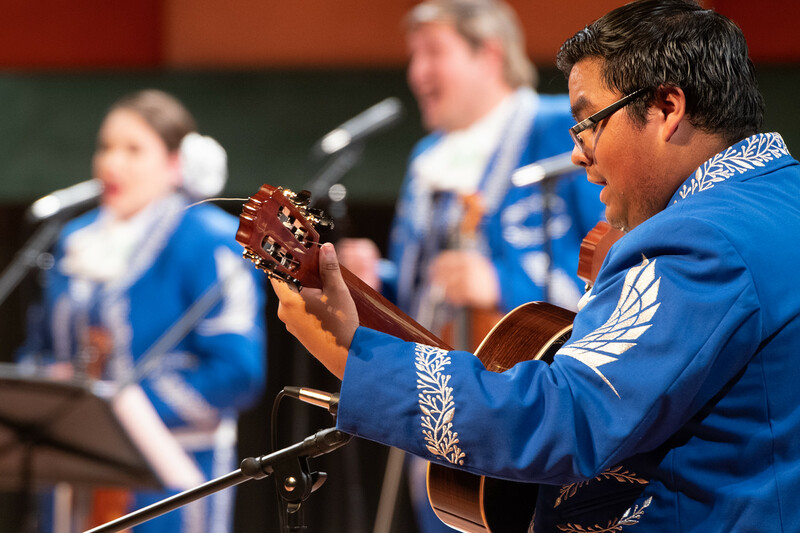 Students of all music levels and cultural backgrounds are welcome to join the mariachi ensemble, which is listed as topic course MUSI 4390. 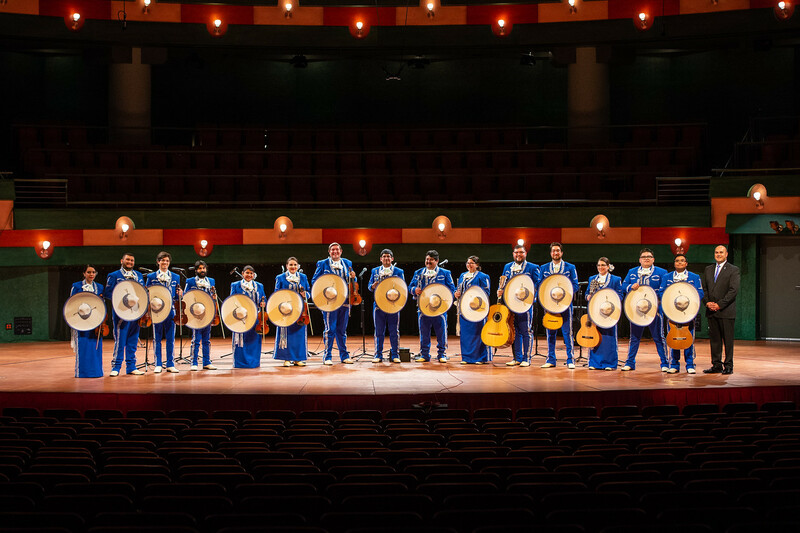 There are currently 15 students performing in Mariachi de la Isla and the ensemble is equipped to welcome another 10 students. 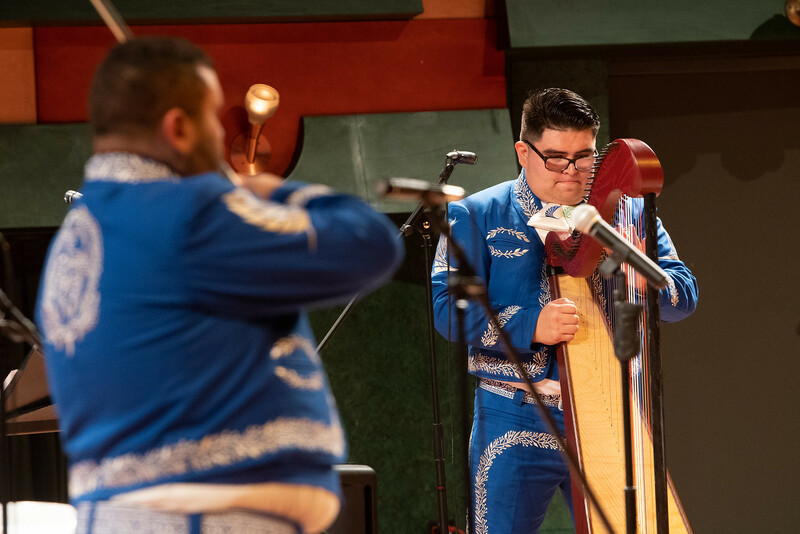 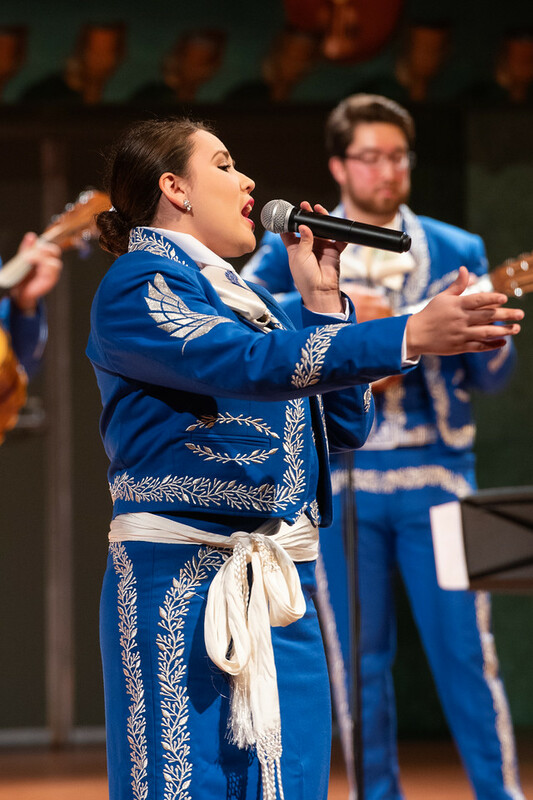 The Mariachi de la Isla have also showcased their talents at the University’s most recent holiday party and at President Quintanilla’s Inauguration Picnic in early spring. 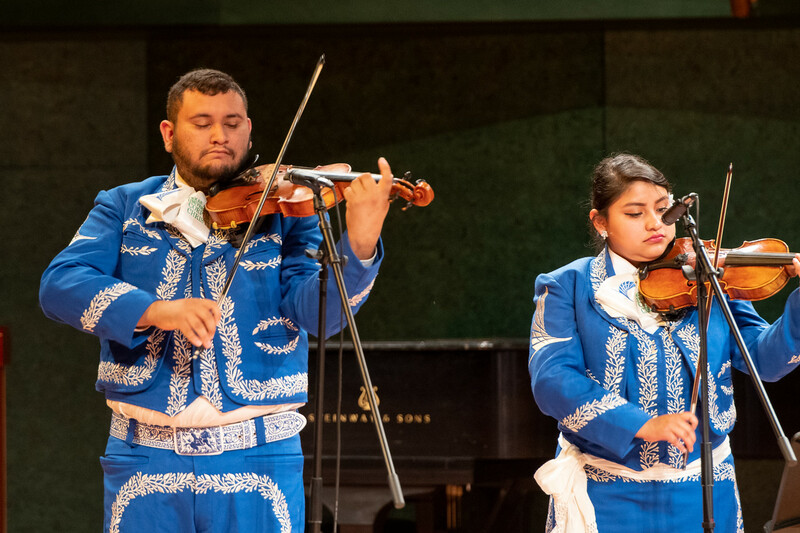 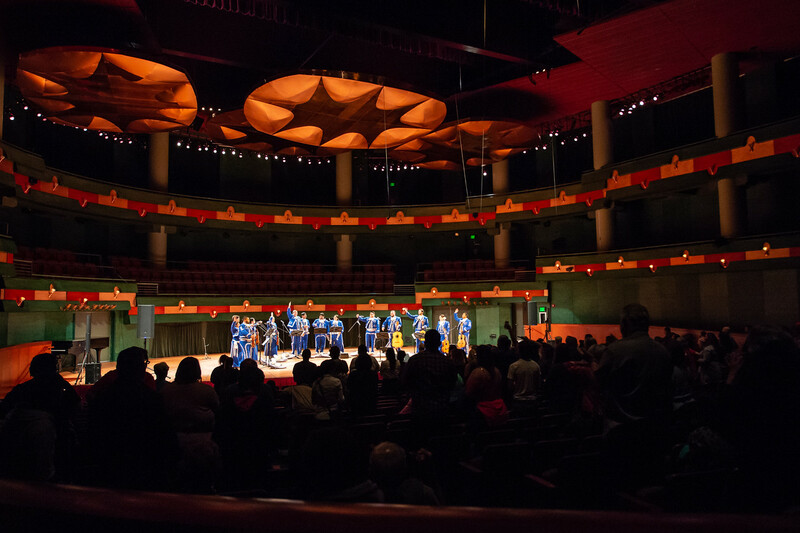 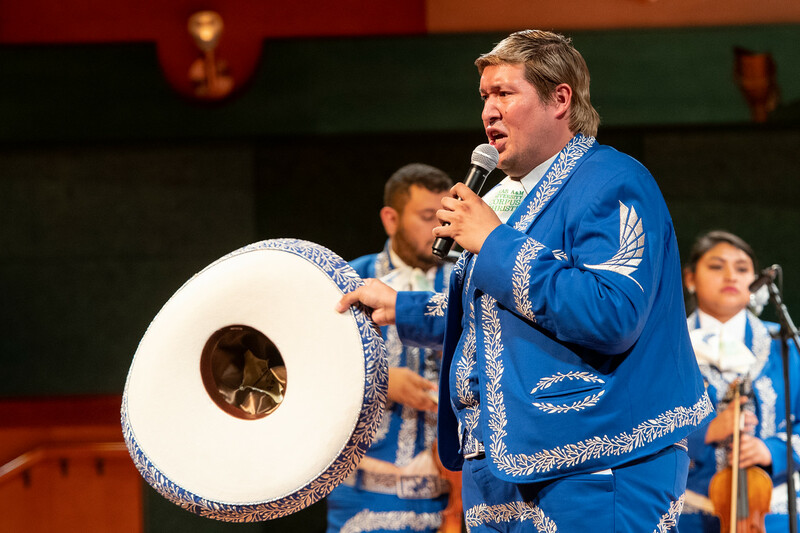 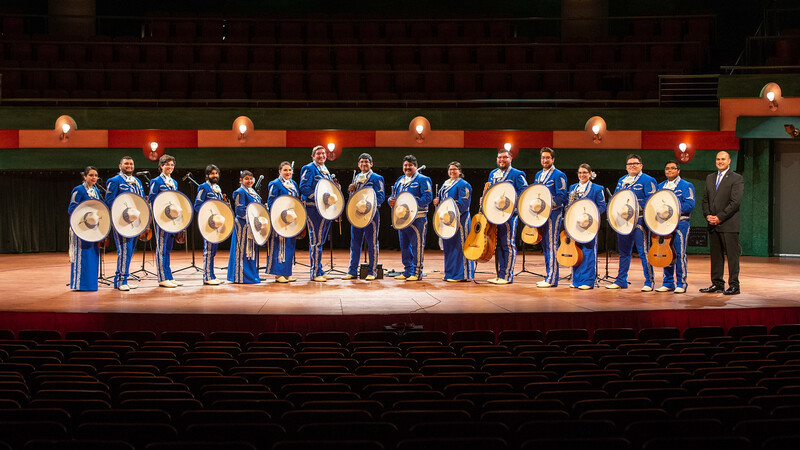 As the spring performance season wraps up, the Mariachi de la Isla will focus on outreach and recruitment of future students by visiting surrounding K-12 schools. 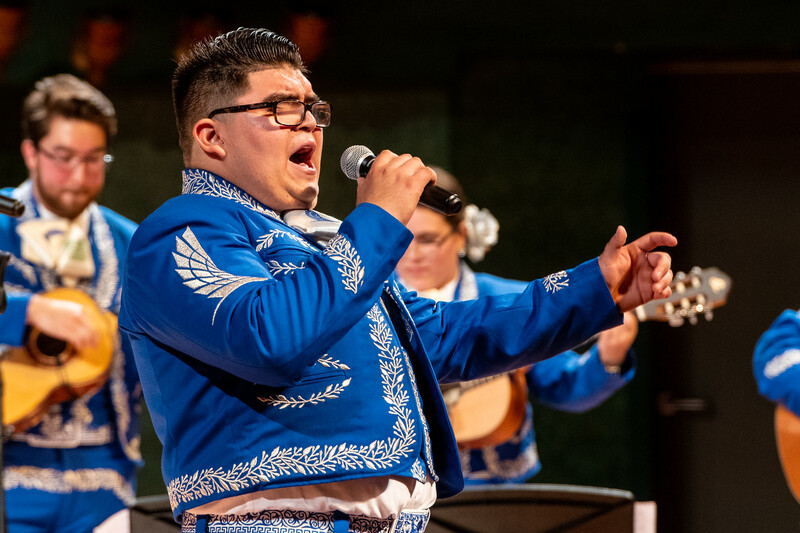 In spring 2019, the Mariachi de la Isla also plans to host their very first mariachi festival and competition focusing on bringing in area middle school and high school mariachi ensembles. 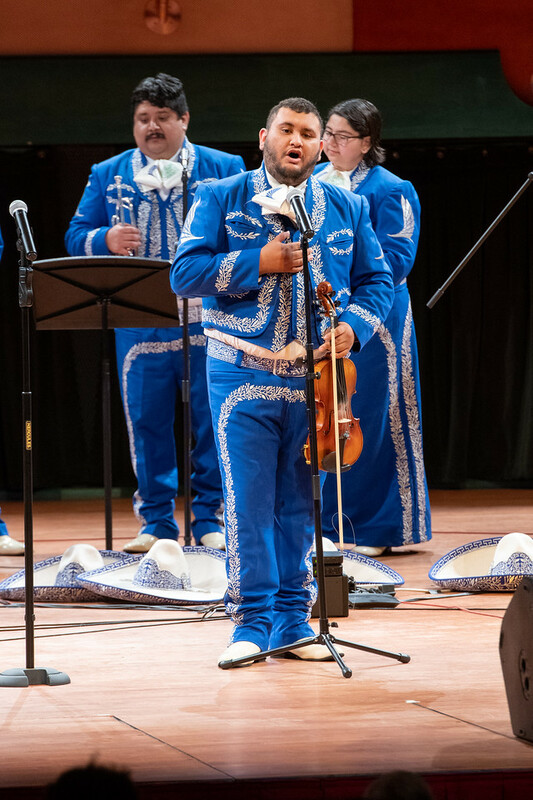 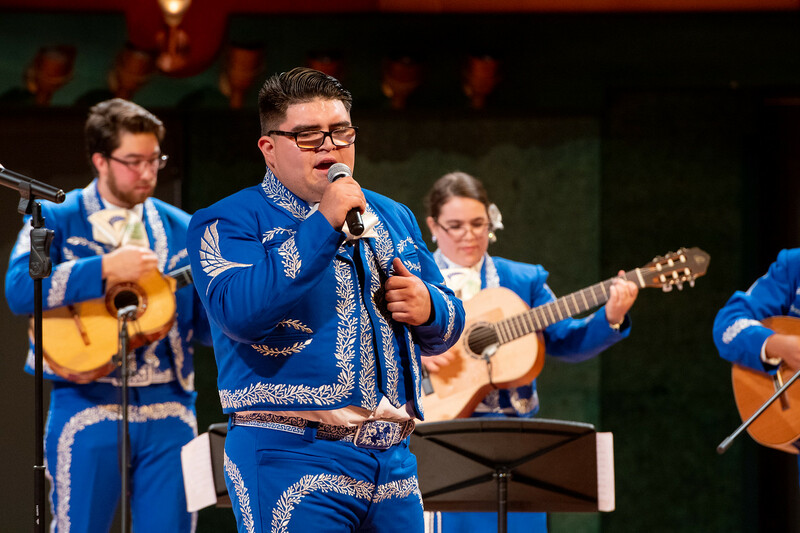 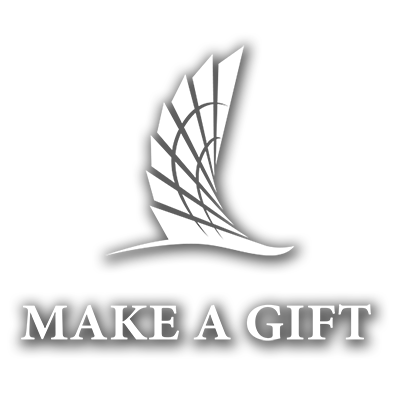 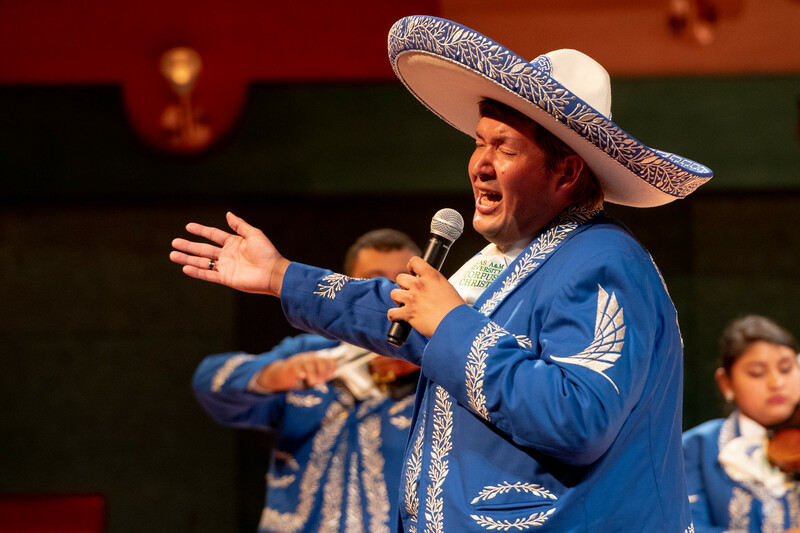 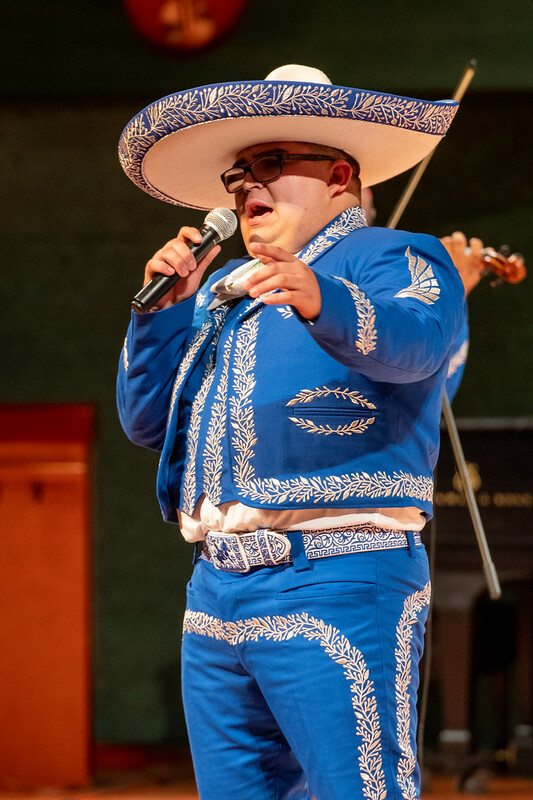 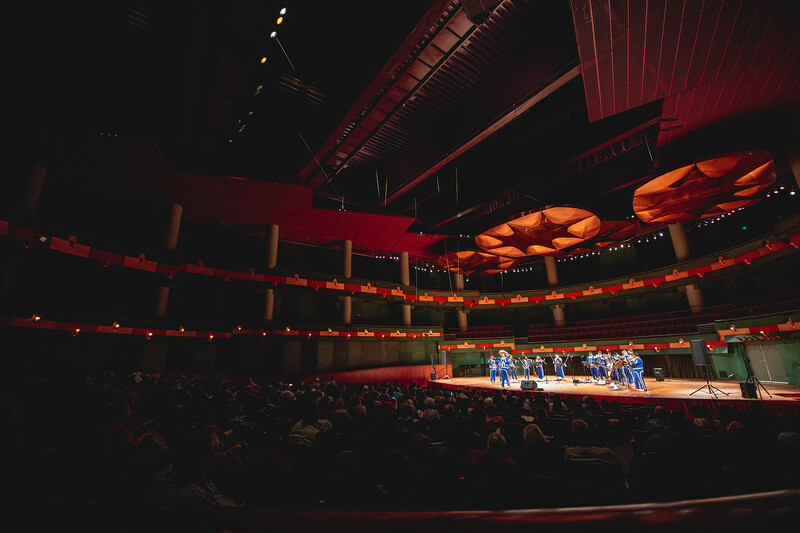 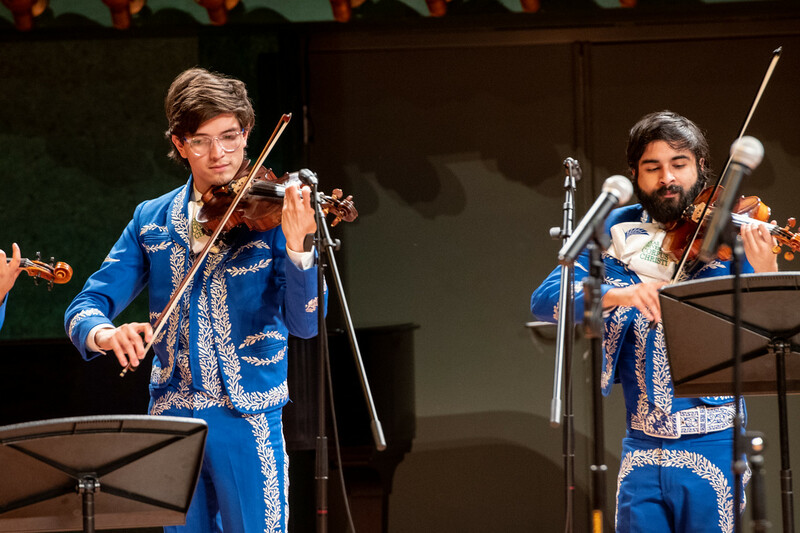 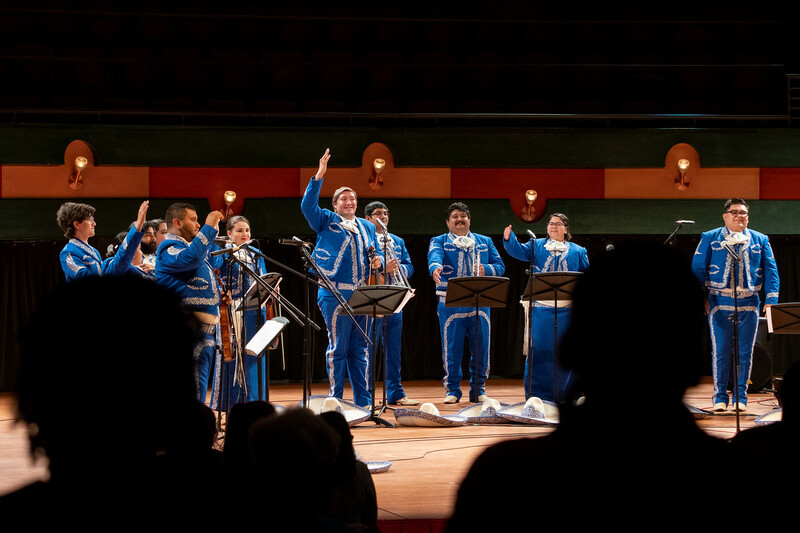 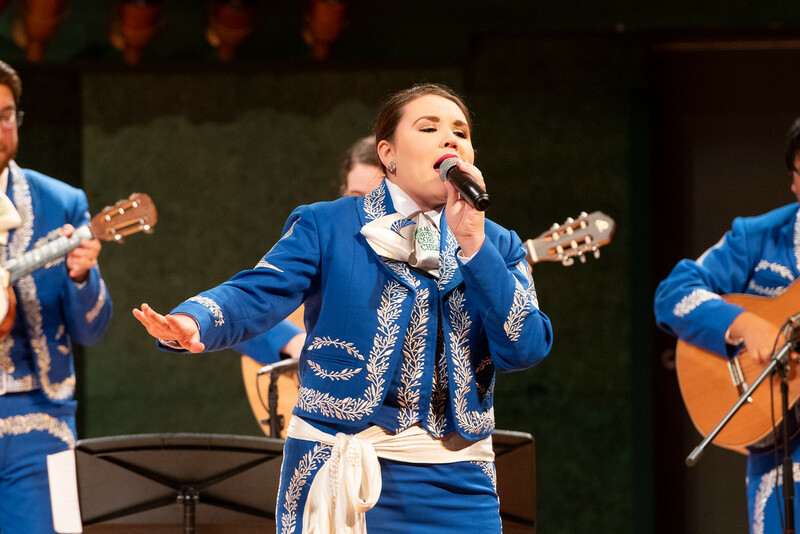 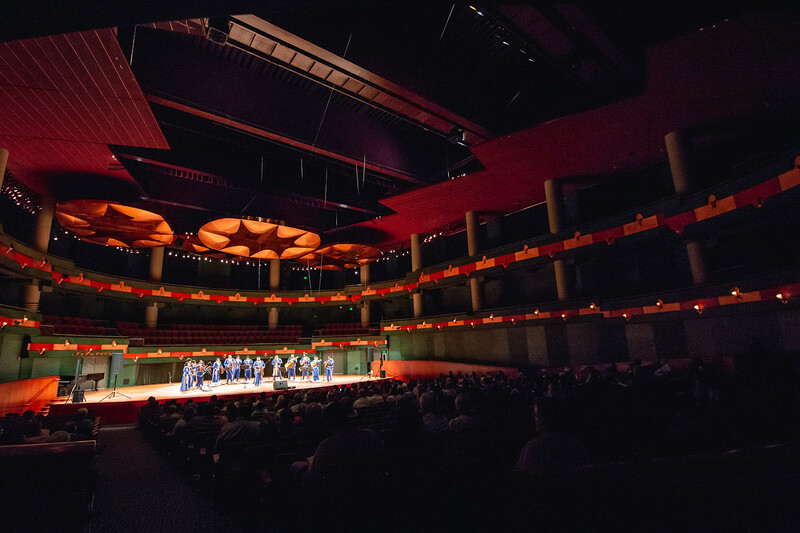 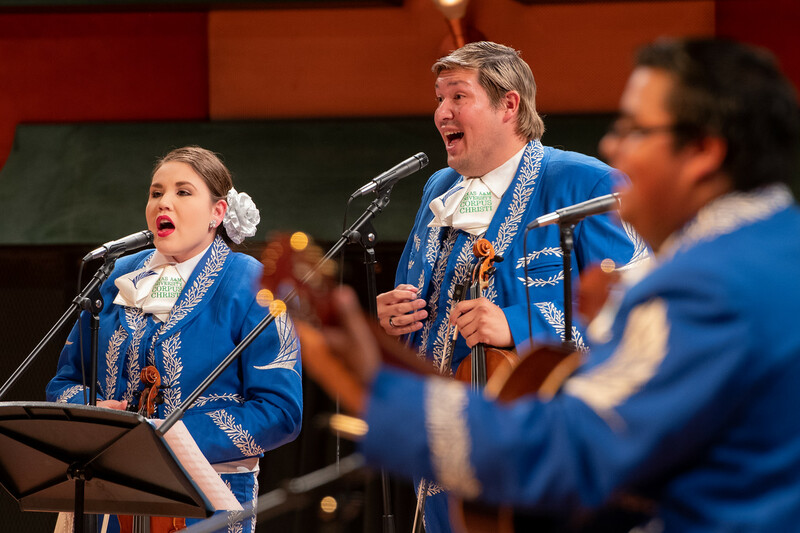 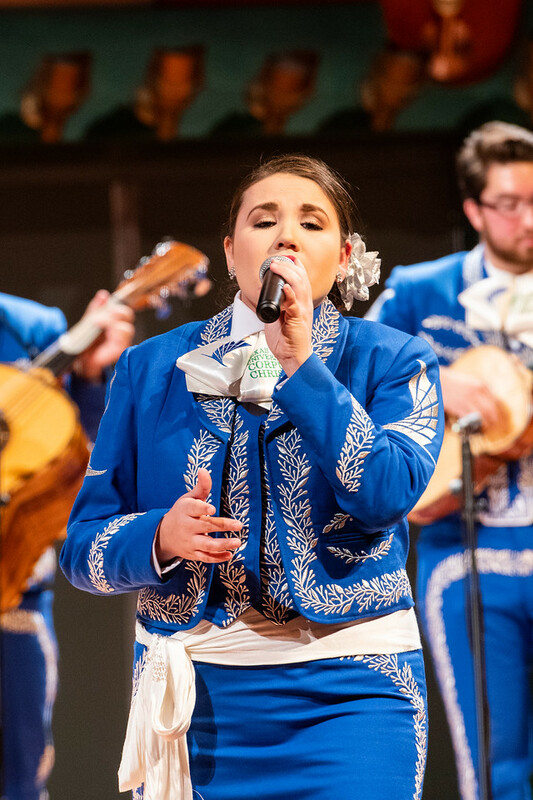 The festival would include clinics, master classes and performances from top performing mariachi artists where students can learn more about refining their individual technique and overall performance. 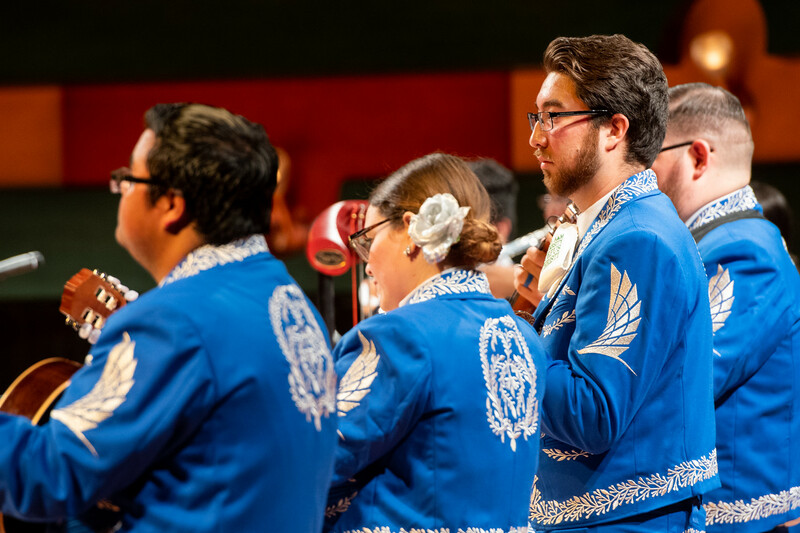 Next fall, the ensemble plans to headline a performance during the University’s Hispanic Heritage Month celebration. 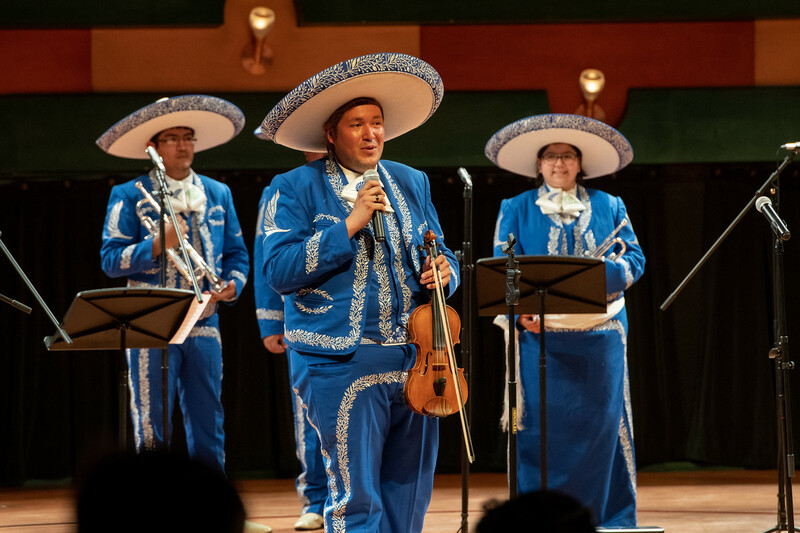 It took a valiant effort to get the ensemble started, from designing uniforms to purchasing new instruments. 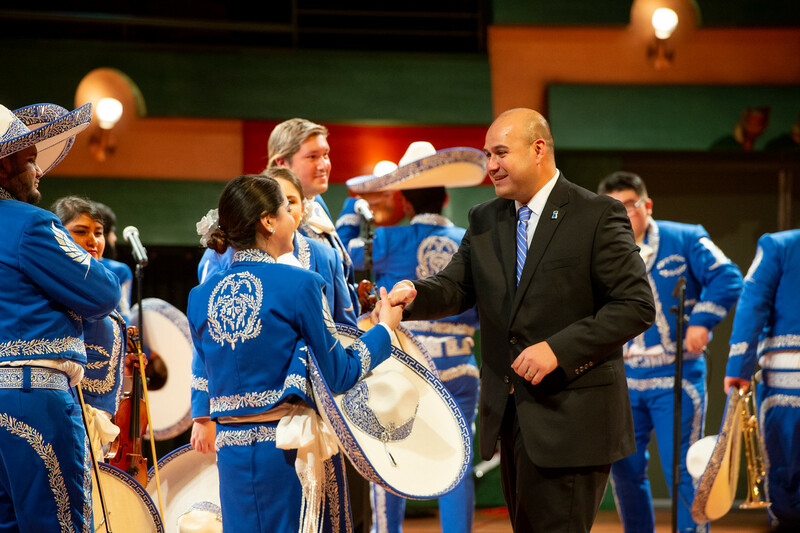 Morales says none of it would have been possible without the leadership and vision of President Quintanilla.